He completed his ENT surgical training in London and after passing the Final FRCS examination he now holds a substantive NHS consultant post at Charing Cross & St Mary’s Hospitals (Imperial Healthcare NHS Trust), London. He is also Visiting Professor in Rhinology at Canterbury Christ Church University, Kent. 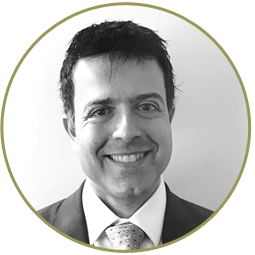 Mr Chatrath’s specialist interests include nose and sinus problems, allergy, cosmetic nasal deformities, children’s ENT disorders and snoring. He has a particular interest in balloon sinuplasty for the non-invasive management of sinus disease, minimally invasive pinnaplasty, titanium nasal implants for a blocked nose and complex nasal and cosmetic reconstructions. He offers a professional sympathetic service and without fail strives to give the best possible quality of care to all his patients both in his NHS and private practices. In his spare time Mr Chatrath enjoys collecting wine, Greek and Indian cooking and using his rowing machine to try and keep fit.